This tip requires that you (or someone else) has Microstation. 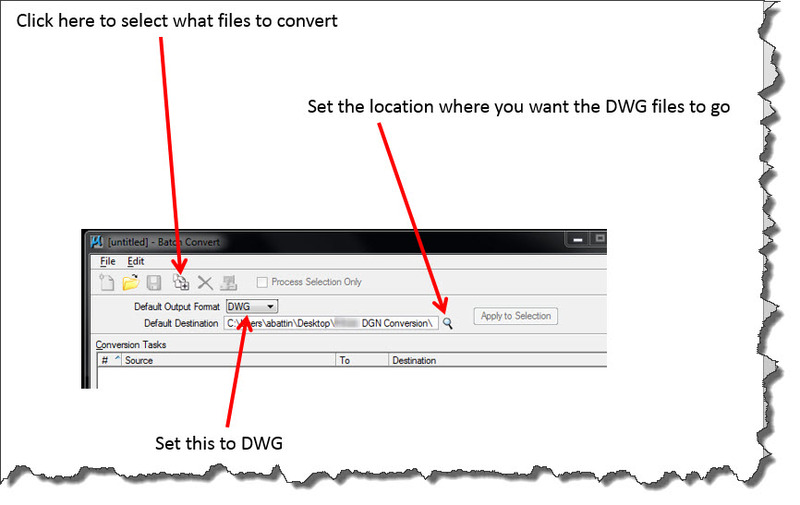 To be honest, the only thing that I know how to do in Microstation is open a DGN file (Microstation file) and either do a “Save as” > .DWG or use the batch processor that is within Microstation to convert a bunch of DGNs into DWG files. 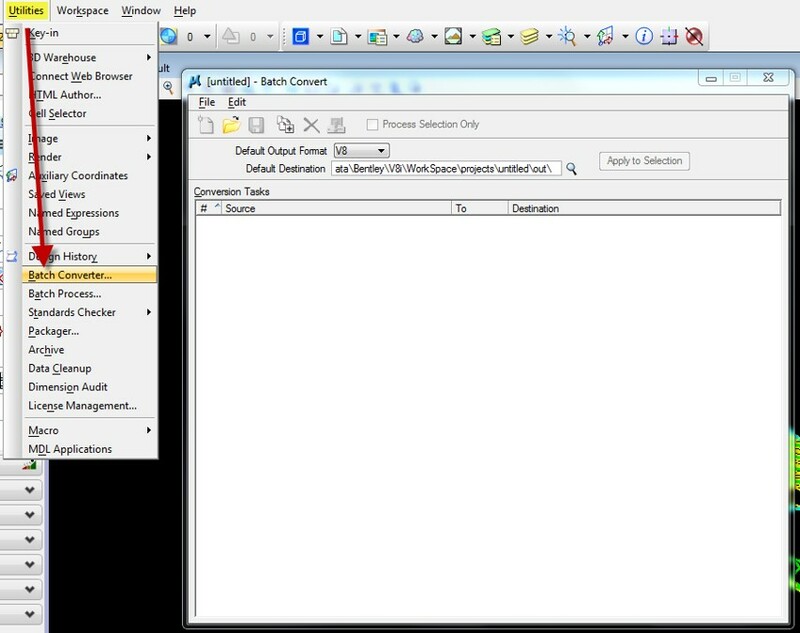 What files are to be processed. 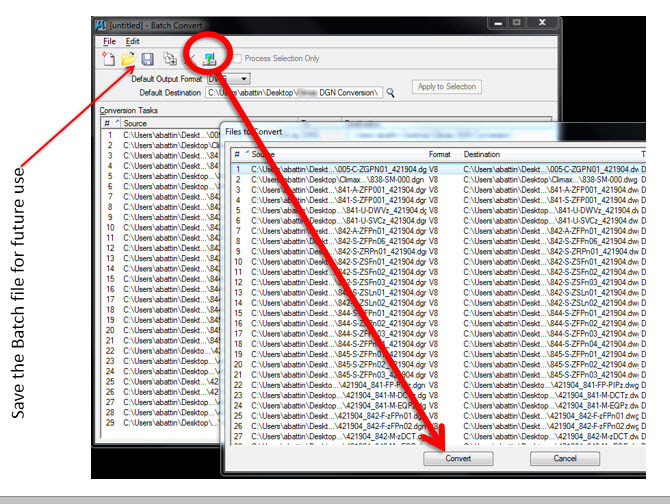 What folder the .DWG files should go into. Refer to the below Screen shot and adjust as you find necessary. 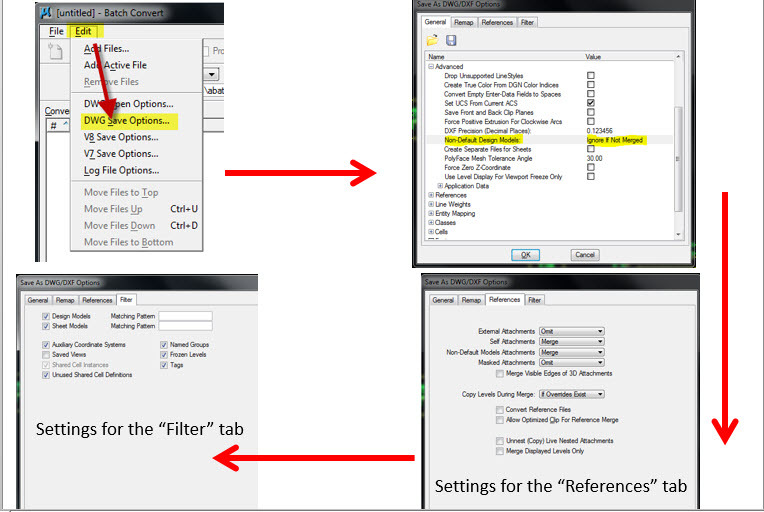 Once the settings have been set, you can save these settings for future use if this will be an on-going process for a project. I hope this helps or is at least a starting point for some of you. This entry was posted in Manage, Modifying and tagged Microstation. Bookmark the permalink. Great tutorial. A common request that users continuously need information on.